Meguiar's has done it again with another outstanding product that is changing the way detailers work with the new Meguiar's DA Microfiber Finishing Disc Buffing Pad. You can expect outstanding results that leave your paint incredibly shiny! These pads are re-usable so wash them after applications and keep using them for years to come! This unique pad uses a special blend of microfiber threads that allow you to get exceptional polishing power while leaving no haze on the surface. 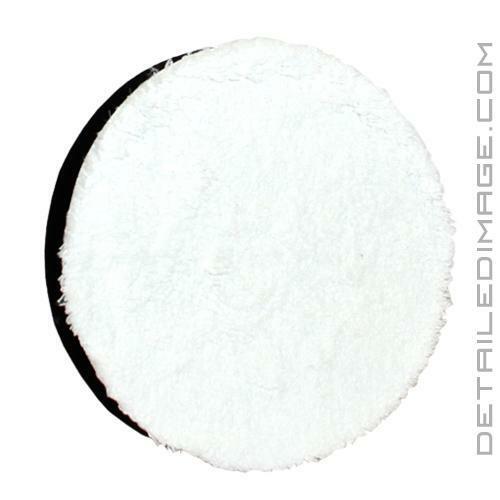 Using this pad with a light polish or the Meguiar's DA Microfiber Finishing Wax will provide optimal results. The Finishing Wax is actually an AIO (All In One) product that polishes and protects in one step. With this combo you can expect to remove surface imperfections like oxidation and light swirl marks safely and easily. At the same time it leaves a coating of wax behind on the surface making it an awesome one step process. Another option is using it after the Meguiar's DA Microfiber Correction Compound if you want to remove deeper imperfections beforehand. The DA Microfiber Finishing Disc Buffing Pad is specifically designed to be used with a dual action buffer like the Porter Cable 7424 XP for best results. Do not use this pad with a rotary buffer, it's only meant for a dual action buffer. Meguiar's also highly recommends using their backing plates because they have a shorter loop on their models (Meguiar's Soft Buff DA Backing Plates). This helps reduce the amount of heat generated, which in turn preserves the life of the pad. 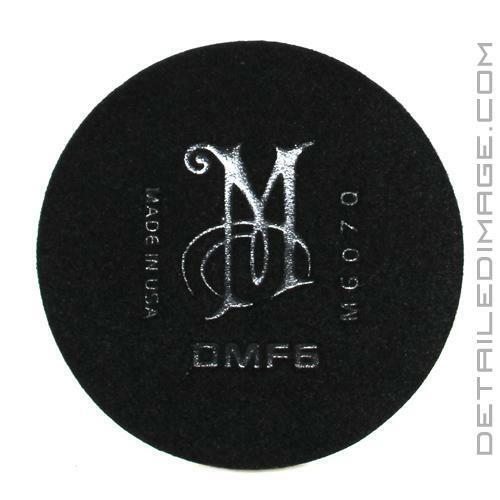 So if you want to get some serious polishing power that finishes down perfectly make sure you use the Meguiar's DA Microfiber Finishing Disc Buffing Pad. Clean disc frequently using Meguiar's Pad Conditioner Brush (WPCB) or compressed air using regulatory approved air nozzle. Deep clean disc using Meguiar's Pad Washer (WPW) or machine wash/dry. Little bit of a learning curve but works great and easy to clean. Should have got the cutting pad also. This had a little bit of a learning curve, as I use foam pads, but these things really work. Buffed out 1500/3000 sanded clear coat with 105 and a Flex. I should have got the cutting type pad, but 2 passes did it. I recently buffed out the tail gate on my red 1997 Ford F-250. I Had a problem with the pads coming apart from the velcro backing. Meguires products are always so good, so I'm not sure if there is a problem with these pads. I contacted DI custemer support and they said there were not any other complaints with these pads but would be monitering the issue. DI gave me credit for the pads I lost and a few dollars more. You can't go wrong with DI. They support their customers 100 percent. I have been buying from DI for a while and will continue to be a customer. They are dedicated to their people. If you have a problem with a product just let them know and it will be made right ASAP ! !